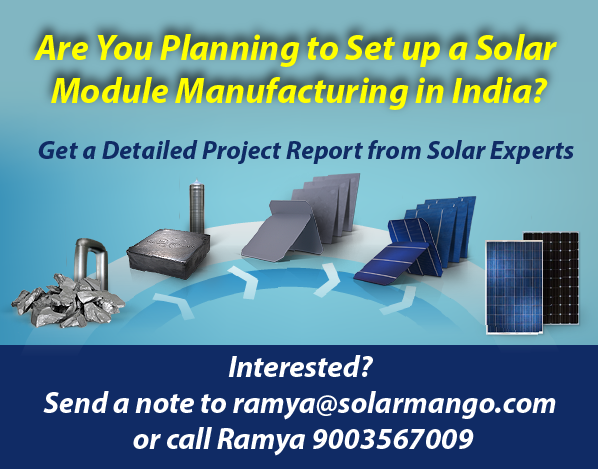 Wish to start a manufacturing facility for solar PV in India? Let EAI Solar Mango’s unparalleled knowledge and experience in this sector assist you. With the huge thrust provided by the Modi government on “Make in India” for solar, one can expect enormous government thrust and tangible and intangible incentives provided by the centre and states. With the government setting a super-ambitious target of 100 GW of solar by 2022, the sector is staring at a possible $100 billion plus (6 lac crore plus ) investments in the next 5-7 years. This is a humungous opportunity that has most Indian businesses wanting to be a part of. standpoint, but have significant competition from numerous domestic companies as well as Chinese companies that offer similar products at far lower prices. And there are components such as MW scale inverters for which the complete knowhow and IP is not available indigenously. Thus, Make in India concept for solar is filled with both opportunities and challenges. This is why it is critical for a company aspiring to enter the solar PV manufacturing sector to have a thorough understanding of this sector before they make investment decisions. Solar Mango is one of the few firms in the country that has the expertise to provide consulting assistance for manufacturing opportunities along the entire solar PV value chain – from polysilicon to cells to modules to power plants and all the way to off-grid products. The Solar PV sector has a long manufacturing value chain, starting with very high capex products such as polysilicon to mom-and-shop assembly opportunities for off-grid solar products. With our long acquaintance with every segment of the solar PV manufacturing value chain, we can provide in-depth insights and analysis on each and every value chain component, and also identify niche and emerging opportunities within each of these components. Analysing the financial feasibility is a critical activity, as many solar manufacturing projects are high capex projects, and hence require rigorous financial due diligence. In addition, a significant number of variables can affect finaicial feasibility, and thus any consulting firm undertaking the financial feasibility study should possess a deep understanding of these variables, With our thorough understanding of every key component in the solar manufacturing sector, we can develop sound feasibility analysis for those entering the solar manufacturing, and provide detailed financial models for different scenarios. Some parts of the solar PV value chain has little Indian competition (eg: polysilicon and wafers/ingots), while some others such as modules and cells have significant domestic competition. For a new entrant in solar manufacturing, we evaluate the competitive landscape within the sector, with a detailed look at the strengths and weaknesses of principal competitors. The solar power sector in India and worldwide (and thus, the solar manufacturing sector) is still dependent on incentives or at least assistance from central and/or state governments, though this situation might change for the better in the next two years owing to the increasing competitiveness of solar power. There are other key drivers for the business too. For instance, a key requirement for polysilicon manufacturing is the availability of economical and uninterruptible power. With each such driver having the potential to make or break, any entrant into the solar PV manufacturing sector will need to critically identify and analyse all the key drivers (regulatory, economics, market factors such as energy security) to arrive at an optimal inference for investments. 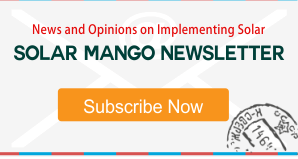 Solar Mango will be your most powerful consulting partner for doing such analysis. Depending on the solar sector, the client might require a joint venture with other Indian or global leaders in the respective segments. In the context of MW Scale solar inverters for instance, there is no indigenous Indian company having the technical ability to manufacture these completely in India currently. Thus a prospective solar inverter manufacturer might need to look for technology partners from Europe or USA. 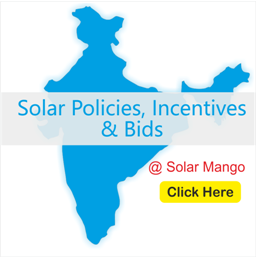 Solar Mango is one of the most well-connected firms in the Indian solar energy sector, and with our popular web resource, online community and the country’s largest renewable energy newsletter, we also have exceptional contacts with the key solar sector players worldwide. Using this unique intersection of industry knowledge and connections, we can assist in identifying and shortlisting the most effective technology and marketing partners for your manufacturing operations. As one of the few companies in India who has undertaken strategic and techno-economic feasibility studies for every component of the solar PV business value chain, Solar Mango will be an invaluable partner and guide for you in your exploration into the solar PV manufacturing.